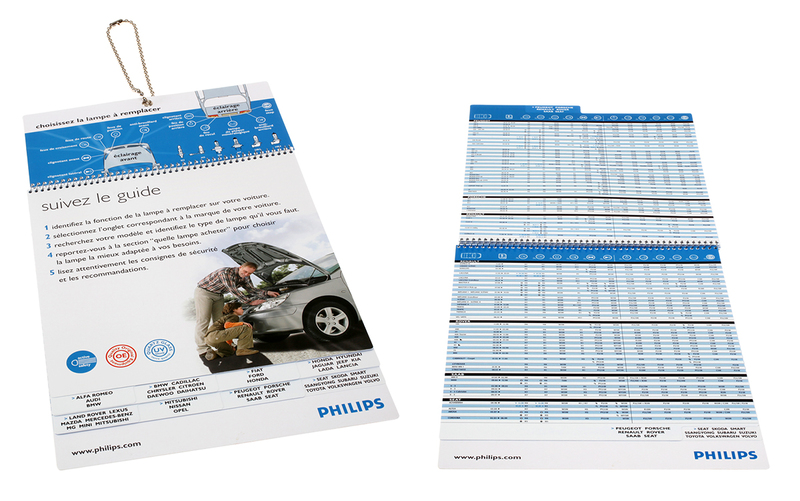 Handy marketing B2C tool that helps the end customer select the lamp he needs for his vehicle. Created in English and localized into French, German, Dutch, Spanish, Italian, Polish, Russian, Danish, Swedish, Norwegian, Finnish). 24V and two-wheeler guides are available as well. Printed on sturdy polypro material, it may be found in Carrefour, Point Vert and other large stores throughout Europe.